Our company is a Blu-Ray, DVD and CD whole seller and retail seller. Our products are sold by experienced employees. We have been started this business since laser disc was famous until DVDs are popular nowadays. 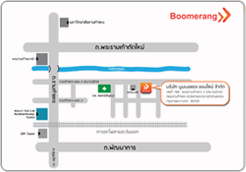 We plan to expand up to 40 branches in the shopping mall all over Bangkok by 2013. We plan to expand our branches to the big cities such as Chiang Mai, Phuket, and Nakorn Ratchasima. We plan to produce our own Copy Right DVDs. We plan to improve our online system to be 100% effective. Each branch is now using our online system for customers’ convenience.